NFL and Ticketmaster have extended their partnership in a new multiyear deal. The National Football League (NFL) extended its ticketing partnership with Ticketmaster, signifying the league’s belief in fully digital ticketing based on the promotion of the brand’s 2017-released Presence digital platform. And along the way, it also welcomed StubHub into the resale marketplace. That open architecture includes StubHub integrating with the Ticketmaster service. 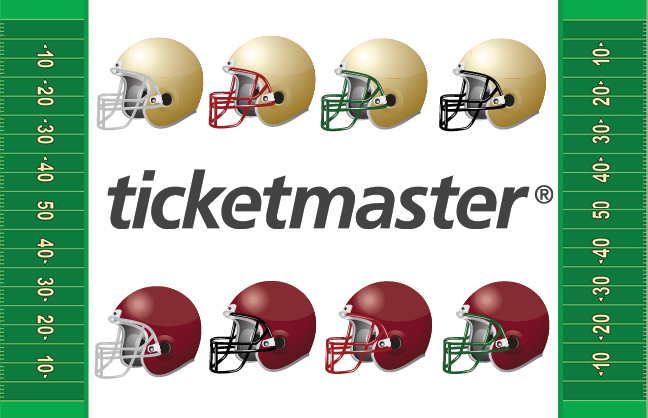 As part of the agreement, Ticketmaster’s Presence software will enable digital ticketing throughout the NFL, used for every event held at NFL stadiums. Moving to digital ticketing, which includes both physical and mobile options, pushes teams toward real-time insight about where tickets are traded and who attends events. Using Presence, Ticketmaster will validate tickets listed on other NFL-licensed marketplaces, an effort to reduce fraud. By moving to all-digital and giving Ticketmaster the authenticating rights to every ticket, the future of partnering with other sites was realized with the StubHub agreement. For fans not interested in the digital experience, Presence will offer RFID-chip-embedded cards for the paperless physical experience. As the preferred primary ticketing partner for the NFL—31 of the 32 NFL teams use Ticketmaster, while the Detroit Lions and Ford Field use AEG-owned AXS Tickets—the Presence software extends options for teams and stadiums, including more mobile and online tools for fans to view, transfer and sell digital tickets. The software can track ticket trades to better identify event attendees, information used in both security and marketing. Mark Arata, box office manager for SMG-Managed Facilities, which includes the Mercedes-Benz Superdome, New Orleans, home of the NFL’s Saints, said he isn’t sure yet how this will impact his operations, as the Saints handle all ticketing for NFL games. He noted the Presence platform has more use in team operations than for one-off concert dates. The San Francisco 49ers’ Levi’s Stadium, Santa Clara, have remained on the forefront of technology and said this change keeps them on that path. “We’re always interested in utilizing new technologies that enhance and improve the experience of our guests at Levi’s Stadium,” said Jamie Brandt, 49ers vice president, sales and service. “We’re working actively with our partners, including Ticketmaster, to implement these enhancements in time for the 2018 season.” The 49ers were one of the first teams in the NFL to make season tickets available online. By allowing Ticketmaster’s Presence to validate tickets sold on other marketplaces, the NFL has moved toward a more open-source model than previously, but while retaining Ticketmaster as its core partner and keeping the company involved in all aspects of the ticket trade. To keep as many tickets available on Ticketmaster as possible, the company will combine its primary and secondary ticketing into a single experience. Laemina said the StubHub partnership simplifies the purchasing process and was a logical step. Tickets sold on StubHub will first be officially validated by Ticketmaster. While the NFL will allow other ticketing marketplaces integration into the primary platform, StubHub earns exclusive marketing rights with the agreement. It will also partner with the NFL to provide insights on customer data. StubHub already has the most ticketing integrations across the sports industry with exclusive partnerships with more than 90 teams in Major League Baseball, the National Basketball Association, the National Hockey League, Major League Soccer and NCAA schools. Neither Ticketmaster, StubHub nor the NFL disclosed the terms of the partnerships. Ticketmaster and the NFL have worked together since 2008 and the current deal, which wraps at the end of this season, was reported to be a $200-million, five-year agreement.